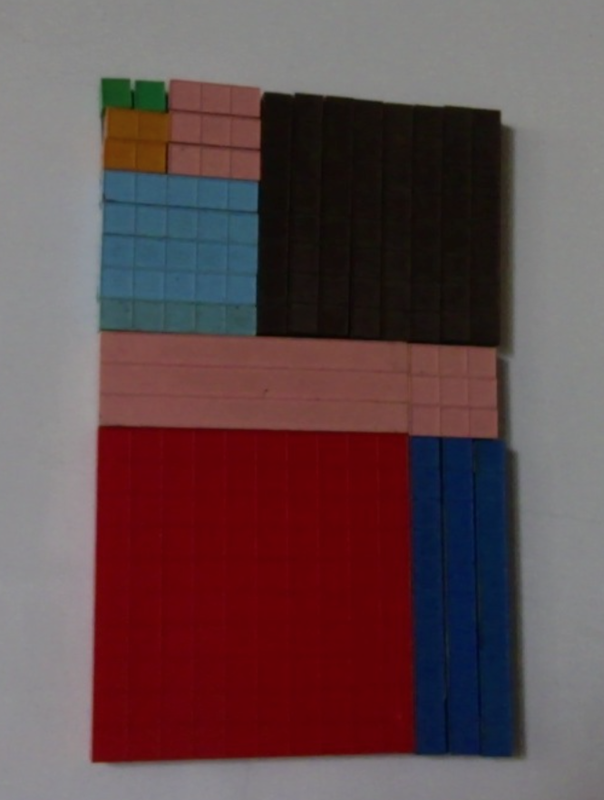 Base ten blocks make fractions much easier to understand. The Fractions page on my website is in serious need of an over haul. Eventually I will get to it. Meantime there Are posts like this. Here we packed more into the hour (but not too much more from the stand point of CONCEPTS), going over the same concepts using fractions tiles and multi-tens, and drawing them with symbols and practicing problems adding up to less than one. Also did a couple subtraction problems. Then ended with a few that were one and some more...next lesson will contain more symbols less blocks and more on improper fractions. All of this and all we learned was adding and subtracting fractions. 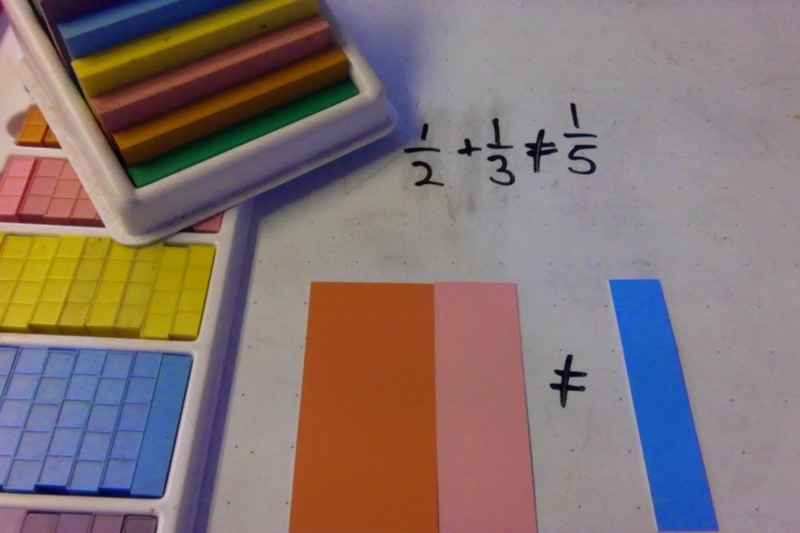 Multiplication and division of fractions will come another da, and they are just as easy to present and understand using manipulatives. Please read this from the POV of how you would present it to your students or kids, and note the common stumbling blocks to be avoided. 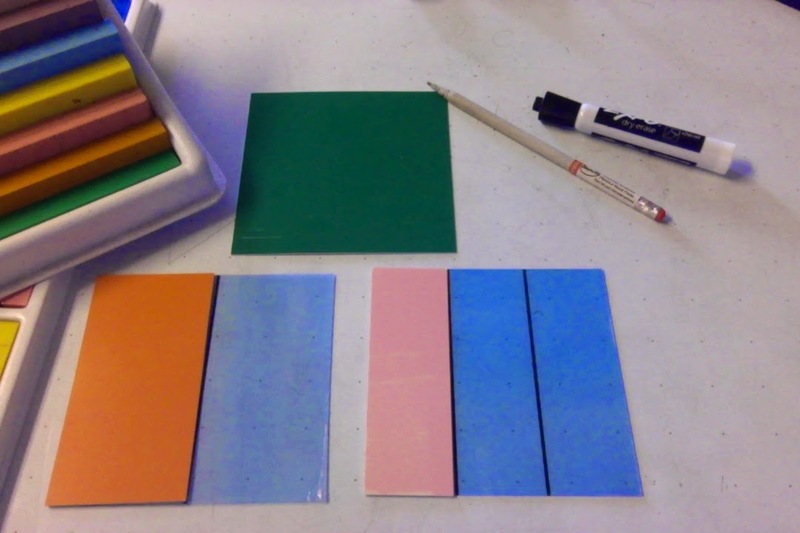 Base ten blocks and manipulatives allow you to avoid the misconceptions in the first place. Starting with the most common misconception, that some how the rules have changed when we get to fractions. They haven't: we can only combine same kind with addition or subtraction. I have this one kid I would really like to video tape but I don't want to embarrass him, because he consistently shows a basic lack of understanding of CONCEPTS. This is because he has never been exposed to them. His answer 1/5. "Because if the tops are the same you just leave them alone and add the bottoms...or is it the other way around?" When I showed it was 5/6 using manipulatives there was a lot of "ohh!" and "OK" and "I get it" so we went over the 5 basic concepts focusing on they have to be SAME before we can add them...and because he is still lacking in multiplication skills, I used fractions manipulatives to help him practice multiplication (and addition). We could skip count this by 3's or by 4's...put the next over lay on and then we will be counting 5's...etc...you don't have to know your multiplication tables in order to do fractions. 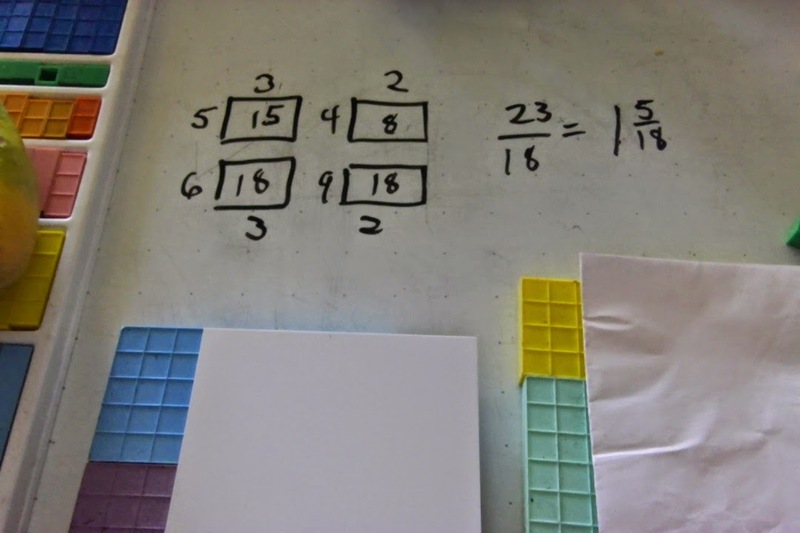 Use the fractions to help learn multiplication. I also asked him during the course of adding fractions which was bigger 1/4 or 1/3...of course he said 1/4. Then before I showed him any of the fractions tiles and asked how many to make a whole one if I have 1/3...he said 3 and how many to make a whole one if I have 4ths?...4 so four is more than three. TRUE. But the more pieces you need the smaller each piece is...puzzled look. But as soon as I get the factions pieces out one look and it's VISUALLY OBVIOUS that 1/4 is the smaller one. "OH!" This child is a teenager. Not stupid, just never been exposed to math concepts and manipulatives just rules, formula and stuff to memorize long enough to take a test and forget. He is a Classic American Math Student. Had he never met me he could probably have a bright career in climate "science." "What kind of math is this?" "Adding and subtracting fractions. About fourth grade level in most public schools..."
"But for your kids it's like first grade." We did several more problems until he got the hang of it using manipulatives...THEN I moved to drawings...and we stopped there. Tonight his sub-conscious gets a chance to put some things together and then we will work on going from blocks to drawings to symbols. Because he is a teenager I can go much more rapidly than if he were 6 or 7. Then we talked about improper fractions and did about three of those just to give him a taste, ending with...5/6 + 4/9...could you think of a common denominator? So he plays with his sliders on his multi-tens blocks and gets the answer. But still couldn't convert it to 1 and 5/18ths on his own...that's a concept for another day for now one and some more is good enough. Like remembering numbers if you try to remember too many at a time some of them are going to get lost so just a few concepts at a time is best. Right now the concept of SAME and doing the multiplication is enough. Next I'll add more to that...which will further cement the foundational concepts of making them same before we add them. The rules didn't change we have to understand equivalent fractions and common denominators. 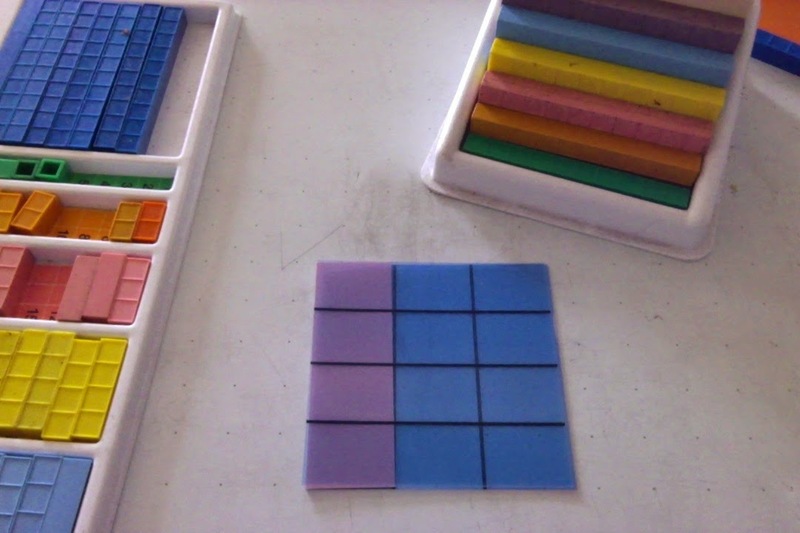 With young kids first we play with the tiles then we play with the multi-tens, having multiple lessons in both. With this student he got it all in one lesson because he has more experience and is older and can handle it...if he was 5 we would have done less. Just the one concept of making them same and then practicing adding them using tiles; then maybe some drawing and then some symbols. That might take THREE HOURS. Then on a different day a lesson with multi tens...again another hour or two. Five or six separate classes, spaced out over time. Using "sliders" is the fun way to do it. Over all kids like using sliders more. 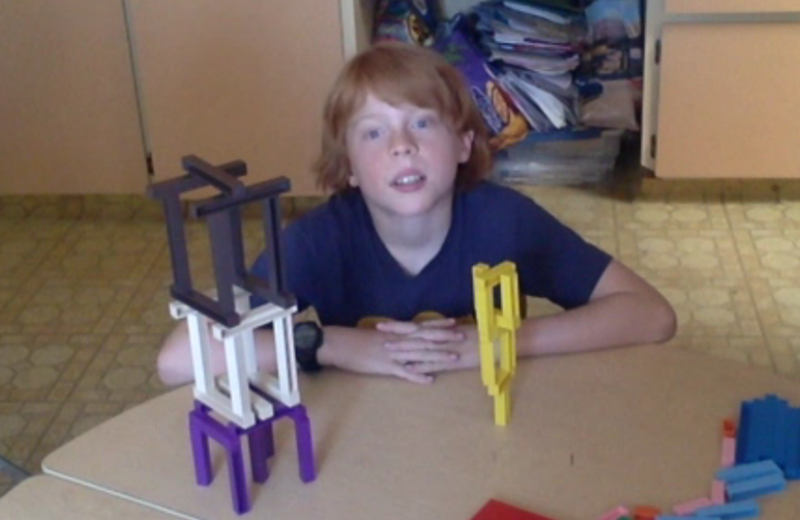 If you don't have multi-tens don't worry you can just use base ten blocks out of your combo kit and get them out a pair at a time, kids like this too and it's especially good for the hands on experience, it takes longer though which isn't a problem if you are homeschooling. Just for fun I uploaded this to blogger so it's a video you won't find anywhere else. Can you also see how easy it is to talk about equivalent fractions and learn skip counting while we do? For those with dyslexic students not that the image is reversed because I used my lap top's camera for all of these pics, but I am able to "flip' the photos but not the video. And it doesn't matter...base ten blocks level the playing field. 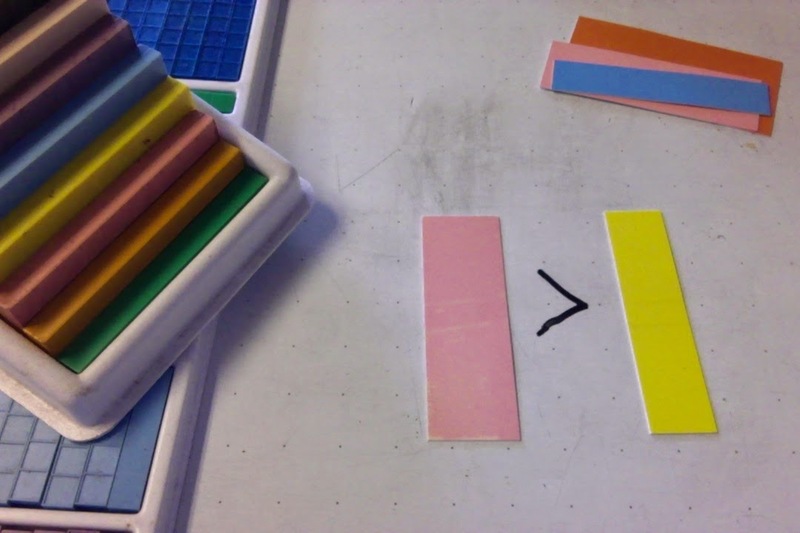 Want some Fractions Worksheets made for base ten blocks? Percentages usually come next after fraction. Showing how to do percentages with base ten blocks is EZ. Here is a updated password description page you may enjoy on my website regarding what you get. Right now for 24 bucks you get access to every page EXCEPT the parent teacher training. It's ONE password for everybody, and that password changes. Because of spam filters and problems with emailing large lists you may not get notified of the password change. No fear: just let me know you need the new one (unless of course your time is up). One password keeps things cheap. There will come a day when you log in with your own password but that day has not come yet. When that day comes it will closer to 10 bucks a month, so enjoy the cheap passwords. Now despite what you may read on pages that need updating, one password does it almost all. The Parent teacher training page has one password too. But for a limited time (actually limited number and that number is 50) you can get one of these passwords for 15 bucks. So for $39.00 you get ALL the PPPs. On the Teacher training page there is 3 hours of training so far...there will be more there eventually. I expect about 10 hours worth. Plus links to other pages and posts you might have a hard time finding. That page is a lot like this page because it's basically a list of places to use your password. It also takes you to a page that I have buried on purpose...(hint it's the one with the Series A manual on it). Here is a page on percentages it needs work. You might search Crewton Ramone Percentages and see what comes back if you are working on percentages. 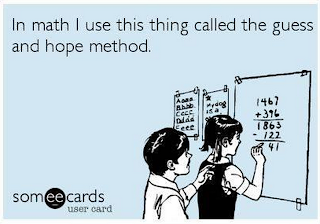 Algebra is where I usually START when I work with kids. This page shows you how to do the negative ones. Here is a page that leads to other pages and will eventually lead to more password pages regarding radicals and completeing the square. This page alone is worth the price of a password shows A way (not THE way) to derive pie are square. Here is a page that takes you to the much neglected screencast pages for the most part these are training videos. And here is a page that has lots and lots of stuff on it...again worth the password all by itself. DBoyz showing you how to do it up with your math blocks right. If you have young children this is a great page, Raymond was in first grade for these vids and is now going into second grade. Sarah's Page. Actual lessons with an Autistic student. This page need an "entry page" telling people what's on it. Soon it will also b e worth the price of a password all by itself. Here is another blog post with screencasts about what you get for a password, the post you are reading now is basically a stripped down version of that one so you just get links. Get a "subscription" for as little as ten bucks. Basically I broke the payments up into 10 easy payments for you, check out the side bar over there on the right. Again, a lifetime pass gets you ALL passwords. "About me: I'm a father of two boys, about to start homeschooling my older one, who just turned six. I was homeschooled when I was a kid, and used Mortensen math; I went on to get a perfect math SAT score, a physics degree from Caltech, and then a PhD from Harvard in developmental cognitive psychology, where my thesis was about how young children perceive and represent numerosity. I'm not crediting Mortensen with all of that, but I do think it gave me a good conceptual foundation, and google searches haven't led me to any other approaches that I would rather use, homeschooling my boys. Yes, BTW, all those fancy degrees and I quit academia after one post-doc to be a stay-at-home dad; I've never regretted it for a minute." ~MS, Pencil-vania. "...thanks for putting this up for us. it's all the little things that you are talking about that make up the big picture." ~AT, Canada. So I guess I need to make a blog post about the P/T training and passwords now...seems to be some confusion. There are two passwords, one for the training and one for EVERYTHING else. The first 50 get it for 15 bucks, then the price is going higher. How much if you already have a password? 15 Bucks. Right now there are 5 hours there...eventually there will be TEN. The first 50 get it ALL for 15 bucks after that the price goes up...because when there are ten plus hours there, plus pdfs and links it will be worth more...but the early adopters (first 50 paid) always get rewarded. People with life time passwords get rewarded....people who have spent money in the past on DSK's and tutoring or a lifetime password get rewarded...so for 15 bucks you get everything there now and the stuff that will be added there in the future. After the first 50 the price goes up. Some people will get this as a freebie, those people already know who they are. If you are not sure, you are probably NOT one of them but it never hurts to ask. If all you have ever done is buy a $5 password years ago, you are not one of them. On the other hand if you have spent hundreds of dollars already at the house of math (not with MUS not with Mortensen Direct) you probably will get a pass. I am constantly told by internet marketing specialists (who have made millions selling CRAP) that I'm not doing it the right way. That I should collect email addresses, and only put a few words on a page along with ONE (short) video and a call to action (give me your email address THEN I hit you up for money)...because that's all the public can handle. So my PT intro page should be 4 pages and have less words (funnel)...and EACH of the training vids would have their own page and be "dripped" out over days or weeks and require a monthly subscription etc...I choose to believe my clientele is smarter than that although my inbox often gives me doubts. One day I will have a subscription site and will follow the advice of these marketers...and prices will rise commensurately. 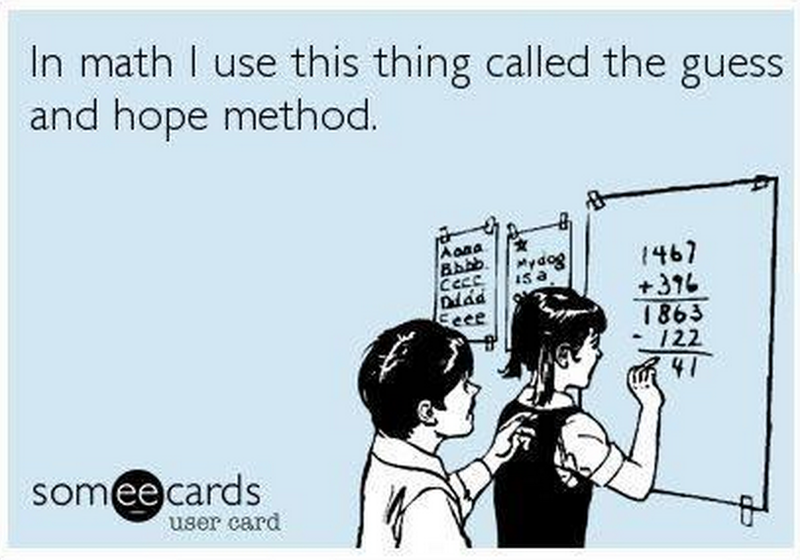 Currently I'm still using the Mom and Pop (mostly Pop) Guess and Hope Method of internet marketing even though I know better. NOBODY would buy a password. Meantime, I had an interesting conversation with a person who does in servicing for public schools talking about how INVALUABLE vids with actual LIVE students that are unscripted and OBVIOUSLY unrehearsed (although I am accused of it all the time lol) are because it allows parents and teachers to see the method in action, not just a lot of theory in a training course where you spend hours learning the system/method but never actually see it in action with actual students actually learning math, actually. For the most part that's what the site is about, I'm not telling you what to do I'm showing what to do...by giving you examples which is the way Jerry taught me to teach...Socratic Method combined with some maxims like show don't tell, if you do tell, tell what they have not what they don't have...allow for error and control it but DO allow the errors, and then allow students to correct their own errors...or direct them to a place where they can see their errors because often the lack of knowledge is so great that errors are made unknowingly and unwittingly and aren't even recognized...I took this to task once teaching some students how to calculate binary backwards and told them to go home and study expecting them to come back and tell me 2 is 10 not 01 but they never did...but swore up and down they had gone home and done their home work. Gee, they failed to correct something like 16 in binary is 10000 NOT 00001...how could I possibly be sure that they were lying and hadn't done the slightest bit of research or reading on binary numbers. My relationship with them soon came to an end. But I digress. "Regular people would want the super highway, Dad." him who is already seven, after hearing my answer to his query about what "meandering" means. What do you get with PT Training? CLICK HERE. There are now TWO passwords. On the bright side BOTH will continue to give you more stuff. The training page will have more training added and I will be adding more Password Protected Pages (PPP) and adding more to the pages that are already there, like Raymond's page for example...and there will be more on radicals, completing the square, and trig...eventually. Math it has been said many times is a language. Try teaching it that way. Seriously: think about how a child learns English...do they hear the whole language or are we careful only to use small words and short sentences when toddlers are around? I guarantee you'd get bored too if all you did was add and subtract small numbers together for a whole year...and do we wait for kids to be able to write before we teach them English? Why do they have to write before we teach them math concepts...? Base ten blocks will make the whole process easier. Here we see a shot of a compound lesson, while the student was building addends (using two hands) we talked about Fibonacci a little. The student wasn't familiar with him, and you may not be either, so I made it homework for him to come back and tell me who he was and why he was important to western mathematics. Since we're learning to add why not add numbers from the sequence...? And you might go to youtube annd search "vihart fibonacci" and watch her three part series. It's fun and playful...the way math should be...and if you like you can doodle along with her...in fact I recommend it. But WHO was this Fibonacci guy? He doesn't make an appearance 'till about 40 minutes in, but this is a great way to make the history of math available to students...and teachers, and other adults, and maybe get an inkling of how important Fibonacci was, while we do cool stuff with numbers. This is why I like teaching "enrichment" students. We aren't relegated to a textbook that needs to be understood well enough for the obligatory regurgitation that will be required sometime in the near future. Instead we can explore the mathematics and learn things like computation along the way...and of course base ten blocks allow students of all ages to get their hands on the math....in the first video he talks about making rectangles like this. Don't just watch vids (or read this post), build and count, do some computation, in other words do the math. Use your base ten blocks and have fun.